How many of you or your children watched The Magic School Bus? My children loved the fun part, and I loved knowing that they would be learning something. Even though Ms. Frizzle isn’t with us anymore, her sister is, and she helps the kids learn about science in a fun way. Is there a better way for a child to learn? 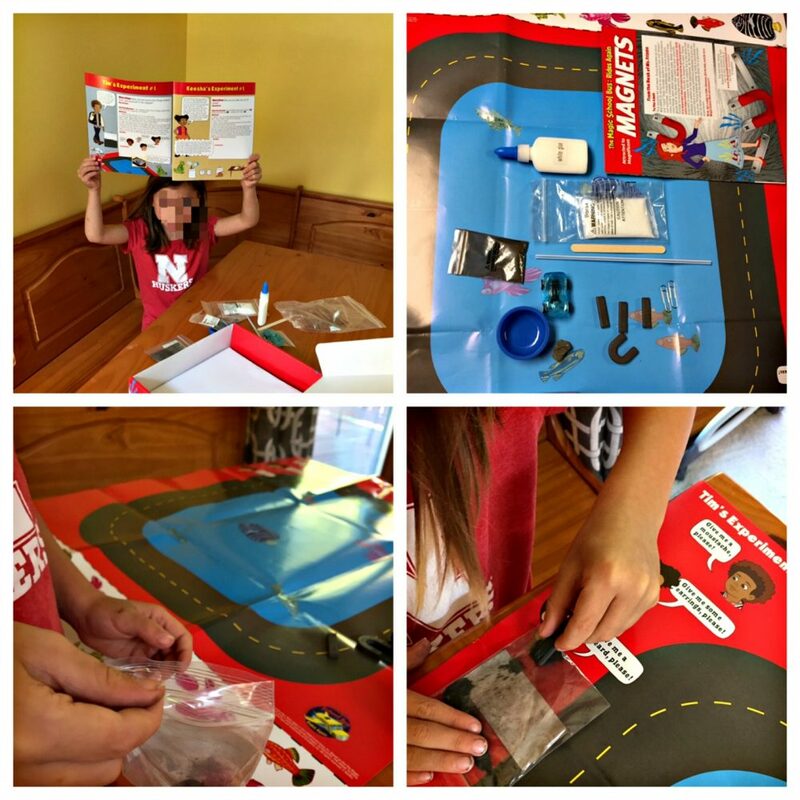 The Magic School Bus has a new Young Scientists Club kit – Attracted to Magnificent Magnets Science Kit that is out of this world! My granddaughter and I had a blast with the magnet experiments. This club has a ton of science kits to choose from and your children will not be disappointed by any of them. They will all capture their attention while learning some amazing science facts. For example, the magnets kit taught my granddaughter about the opposite poles on a magnet. The look on her face as she tried touching the same poles together was priceless. It is so engaging for young ones and they are all sponges. Some of the new sets from The Magic School Bus are The Secrets of Space, Human Body, Going Green, Soaring into Flight, The Mysteries of Rainbows, and so many more! You can find them on Amazon, or you can simply click on the links I have provided. The Young Scientists Club has done it again! This cool science kit has everything you need for many science experiments. Some of them include creating magnetic slime, building a compass, learning about magnetic poles, holding a magnetic car race (the car is included! ), and many more. This is a gender-neutral kit and it comes with a big, colorful poster. The poster has a racing track, game board, and even experiment diagrams, so it isn’t just for show. Any child would love to see this under the tree or as a gift for any holidays you celebrate. Imagine their excitement when they open this up! Don’t give them gifts that lose their allure, this gift will keep on giving…the gift of learning.